When connecting Shopify or Square integrations, a process called "mapping" is required. 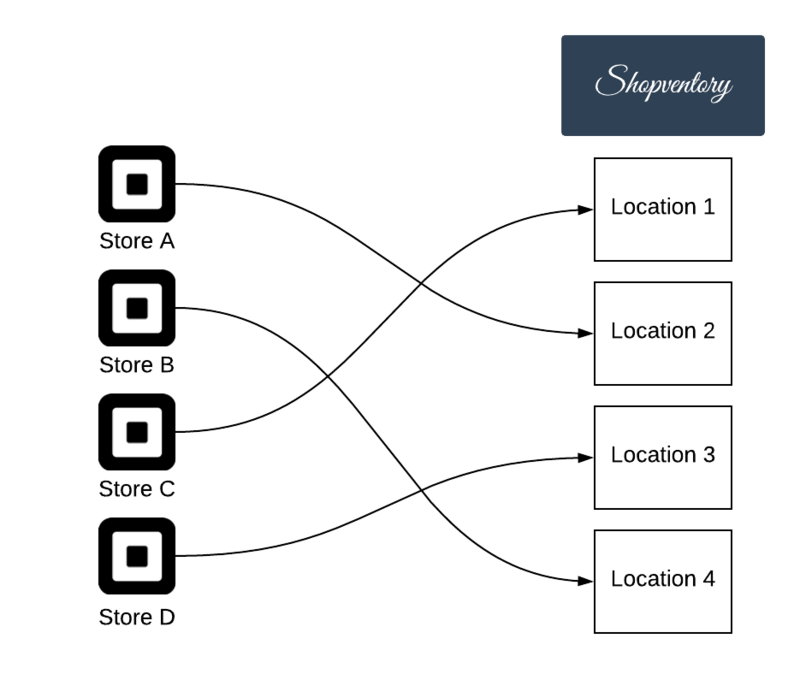 Every location in Square or Shopify must be mapped to a corresponding Shopventory location. 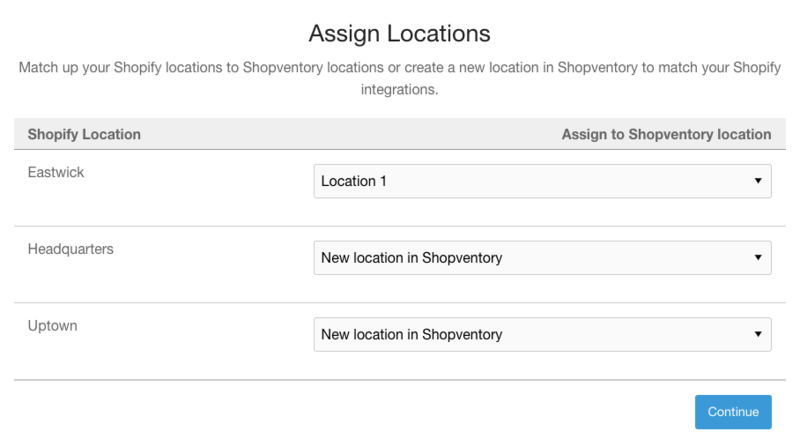 If there are not enough Shopventory locations already created, you will have the option create a new location when mapping. In the above example, "Location 1" in Shopventory will have the "Eastwick" Shopify location mapped to it. The other 2 Shopventory locations will be created as part of the mapping process. (Shopventory locations can be re-named later on). If you have any trouble, just feel free to start a chat!